English proficiency program by iN Education, Inc. The Hear, hear! Club, an iN Education's program, is a year round well-rounded all-inclusive English proficiency program for K-K3 students. 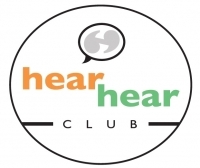 The name of the Club is inspired by the original phrase “Hear, hear!” as originated in 17th century parliament to call attention to the speaker. The 17th century was a time where people of high status were extremely proficient in English. English proficiency was an essential tool for getting connected within society, securing high levels of employment, and gaining status within the community. This essential skill has not changed since the 17th century. We are thrilled to share with Euclid community that our Hear, hear! Club will be offered at Shore Cultural Center (Room 227) this summer! Our upcoming Summer Session (designed for children entering 1st grade through 3rd grade) will focus on reading skills for elementary school students. Instructor(s) will engage students by reading a variety of carefully selected books keying in on pronunciation and comprehension 2/3 of the time and provide fun activities that require kids to read 1/3 of the time. This will serve as a refresher and keep them on track while preparing them for the upcoming school year! Children will retain their reading skills during summer break. Children will learn valuable pronunciation and comprehension skills. Children will develop better interpersonal and intrapersonal communication skills. Children will gain a better appreciation for reading and the English language. Children will learn how to better cooperate with their peers. Any other requirements: Must bring your own snacks. DeAndre’ L. Nixon became an entrepreneur in 1998 when he started iN Entertainment, Inc., his for-profit special events production company in Seattle, WA. 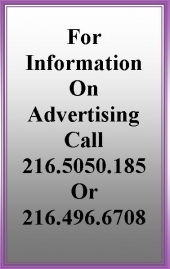 After dissolving it in 2005 he returned to Akron, OH and incorporated iN Education, Inc. on May 5, 2006 and received its 501 c (3) status in September 2007. Since its inception, iN Education, Inc. has provided educational programs and services primarily to low-to-moderate income pre-K through 12th-grade students in Northeast Ohio and beyond which strengthen their learning outcomes, prepare them for college and technical career fields, and instill a love for lifelong learning. As founder and president, DeAndre’ brings decades of experience as entrepreneur in entertainment and educational services that has shaped the unique approach of iN Education. He is joined by a long-serving staff of three, a team of about one hundred volunteers and ten industry professionals who have contributed to the success of iN Education’s programs.